If you want to apply the Nightmare Competitor Approach on your own or develop an in debt understanding of the method then you should read “Rocking the Ship”. Uli and Mat explain why established organizations struggle to shape the future of their own industries and they describe how you can create your own Nightmare Competitors to rock your corporate spaceship. The book contains lots of priceless tools i.e. the Business Model Radar, a tool to supports the systematic creation of new business models and which is enabling you to visualize and better communicate their potential impact. Its Mavericks Matrix helps you to be as bold and fast as possible. After all you should not give rivals the chance to overtake you. 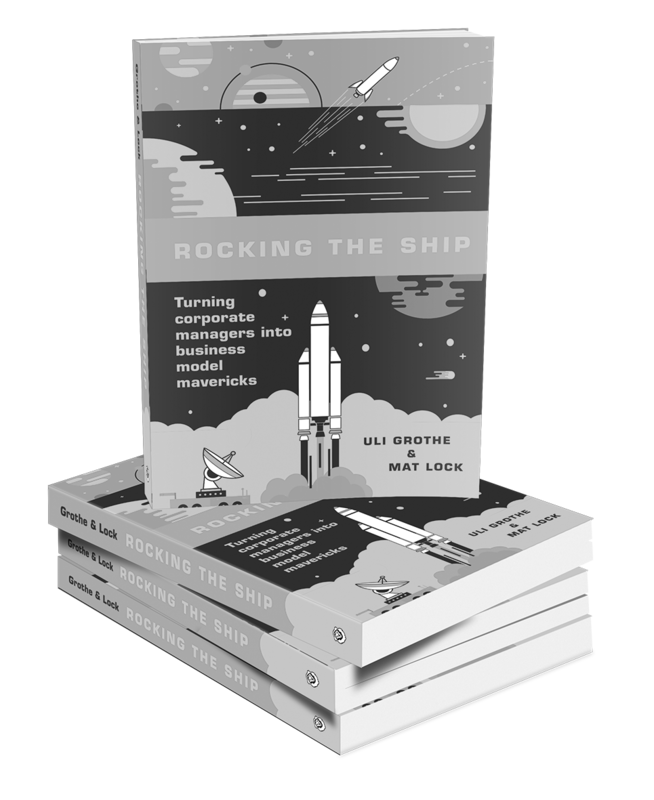 Rocking the Ship also contains solutions for future proofing your organization. The book is easy to read full of up to date examples and illustrative case studies. Regardless of rank, function, or industry you will benefit from reading this book. 1 x Order the book "Rocking the ship"